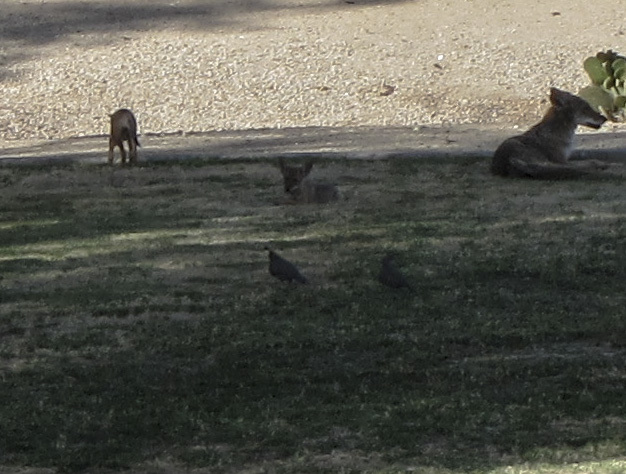 Mom Coyote – taking care of business! 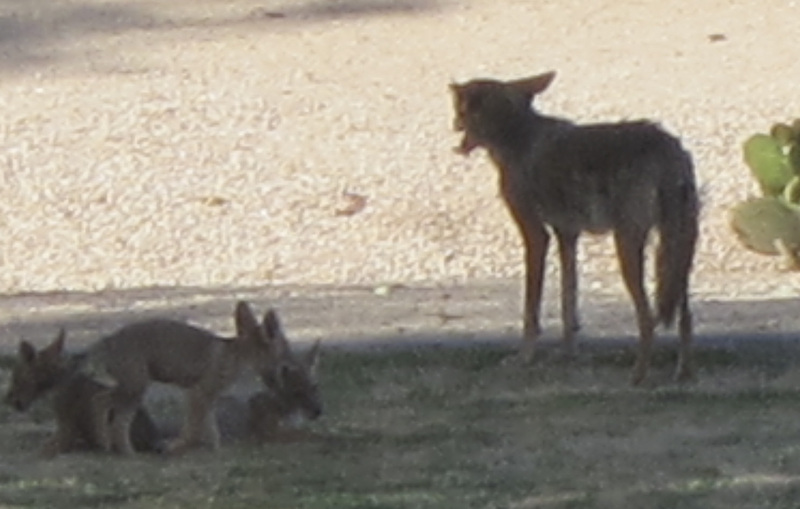 Mom and her cubs on the property where I work. A relaxed mom allowing her pups to do their thing!